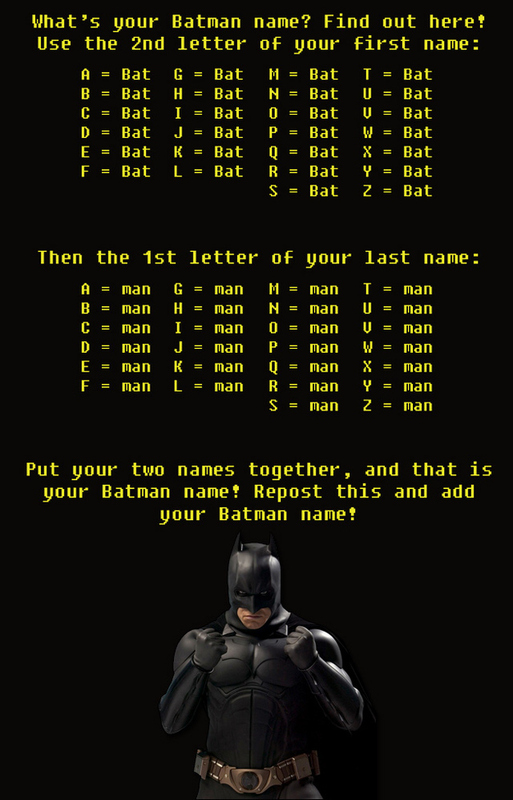 Fun Friday: What’s your Batman Name? We’ve had so much fun with these the past several weeks, I thought it was time for another one. This one, like the others, was also shamelessly borrowed from BuzzFeed. Ahaa! I sent this to my husband’s facebook page. Wonder how long it will take him? I fell for it lol.